Cavit is a consortium of cooperatives. 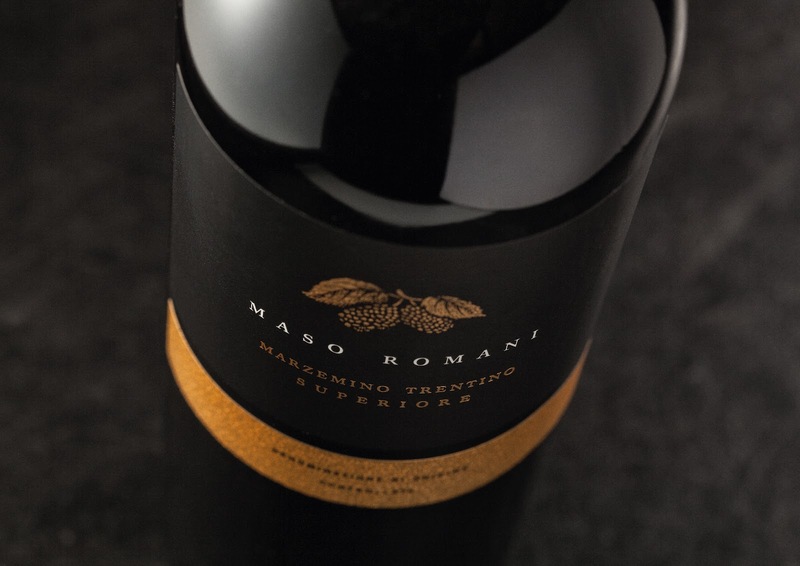 Among its members it counts over 4.500 winemakers and it is a major player in the wine production of Trentino, Italy. 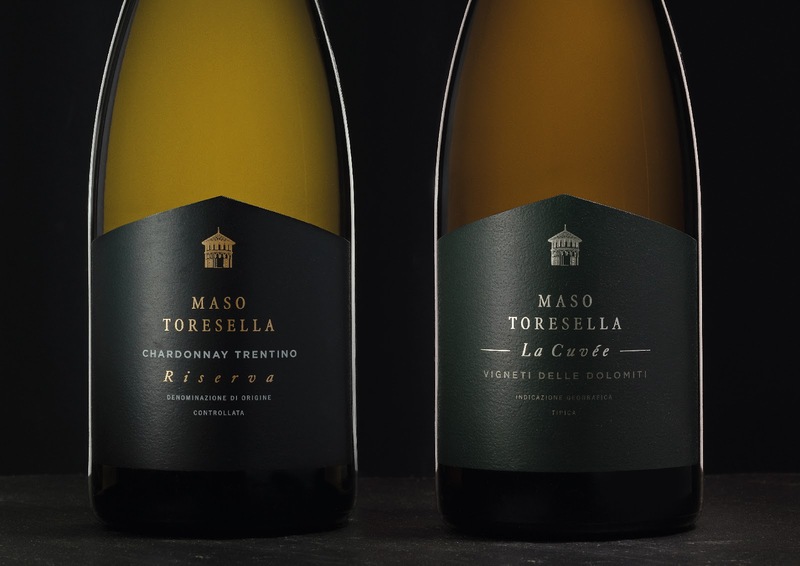 “Maso” is its premium line: real “cru” wines linked to a limited territory that is suitable for the production of specific grape varieties. 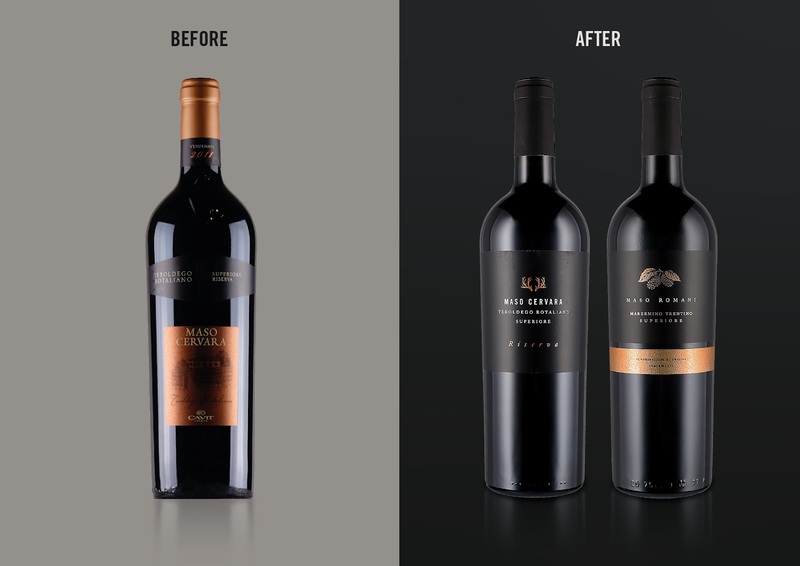 It is aimed at a target of connoisseurs, to be reached mainly in wine bars. 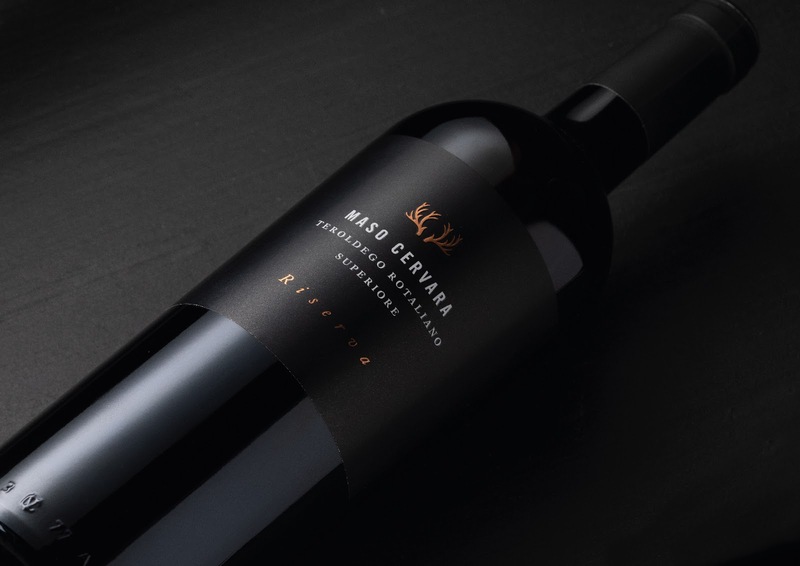 It was necessary to restyle the packaging emphasising both the quality of the product and the strong connection between each wine and its terroir. Minimalism was the most effective way to achieve elegance and premiumness. At the same time, subtraction allowed to give more emphasis to each one of the elements in golden lamina used to tie wines to their terroir: antlers for “Maso Cervara” (from the deers or “cervi”, that came to feed on vine shoots); mulberry leaves for Maso Romani (from plants growing next to the vineyards, in an area rich in biodiversity); and a tower for Maso Toresella (from “torre”, the tower that characterize the ancient farmhouse or “Maso”, in Italian). 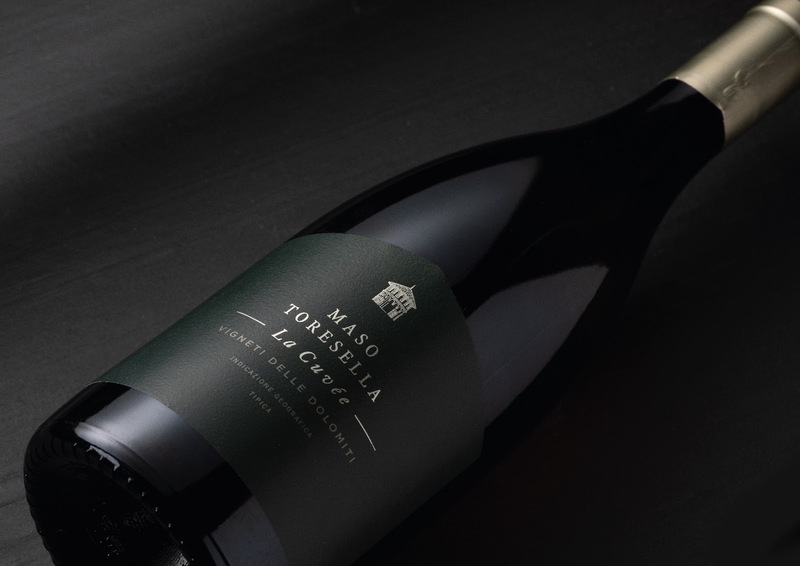 The white wines have been differentiated with bright colours, recalling those of white grapes, whereas the red ones kept darker tones.